This is a Schumacher Black 3 Layer Softshell Jacket. 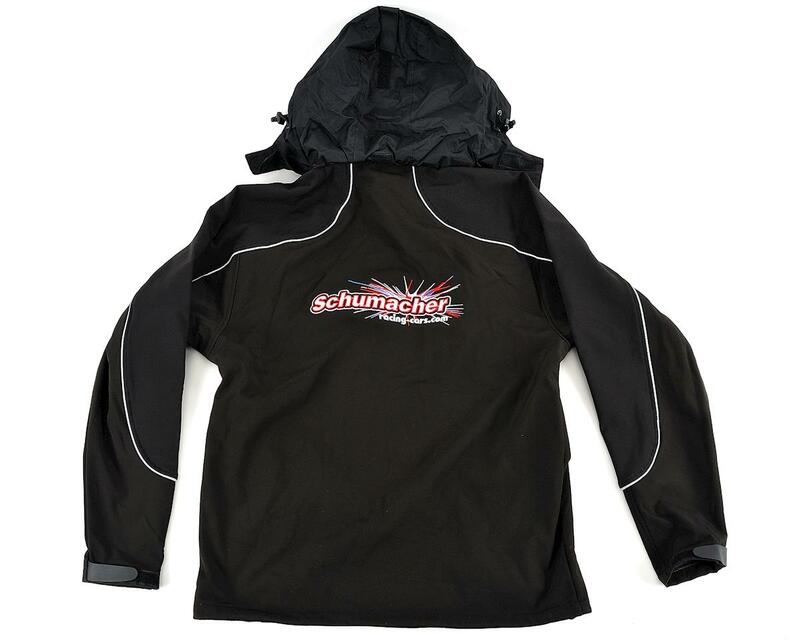 Ideal for a variety of racing conditions, this comfortable softshell jacket sports the Schumacher logo front and rear ensuring you always look good at the track. 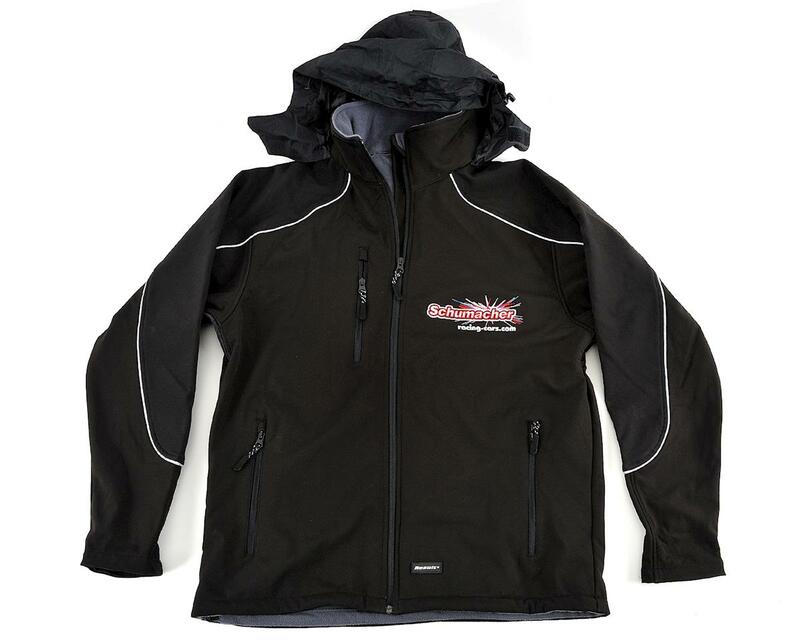 This jacket is also water resistant, windproof and breathable thanks to the softshell 3 layer technology. As an added bonus, there is also a concealed waterproof hood. Choose from medium, large and x-large sizes.